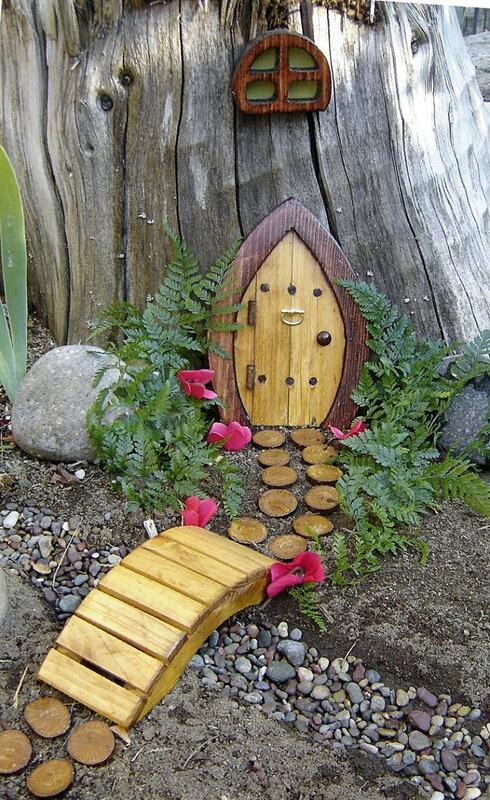 18 Magical Fairy Garden Ideas–The kids will love them, and you too. 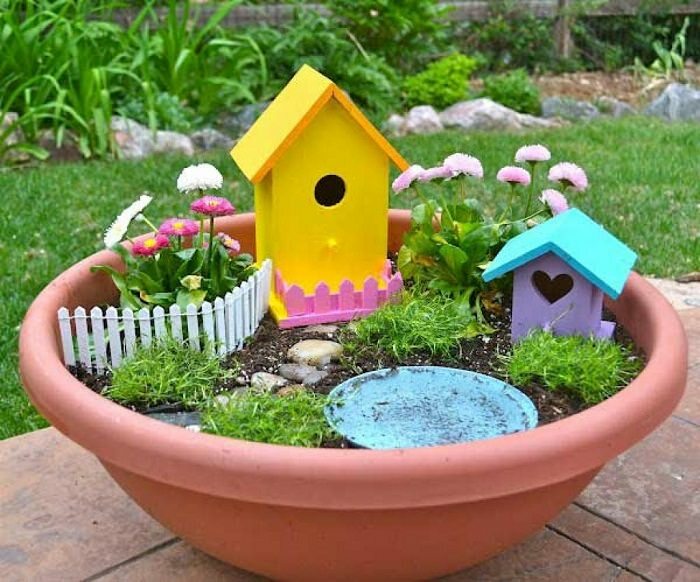 These cute looking fairy gardens are really amazing. 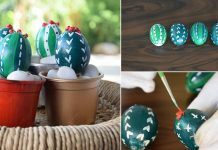 They’re inexpensive also and you can easily make them from unused, recycled materials. 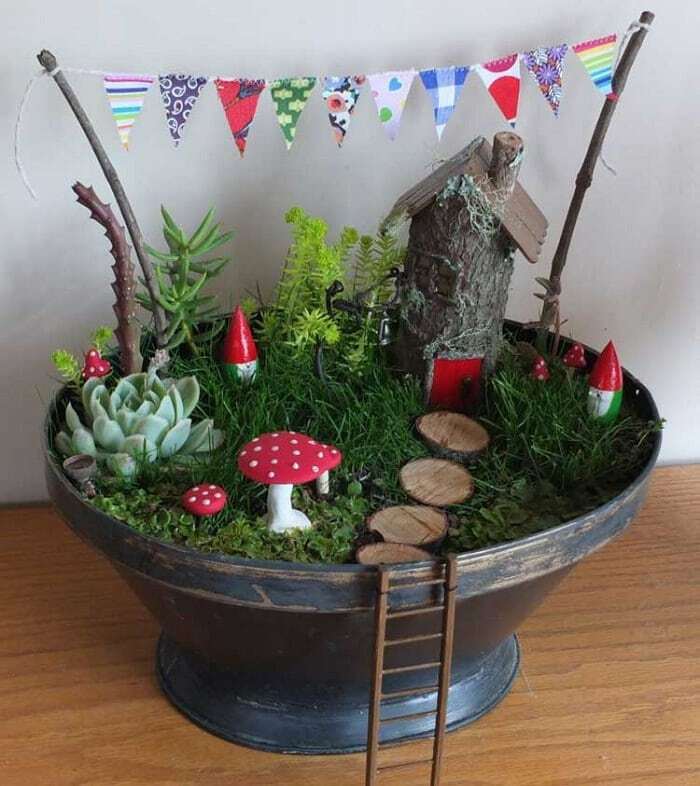 Create a truly unique fairy garden like this for your garden. Inspire yourself with this idea. This can be an enjoyable DIY project for your children. 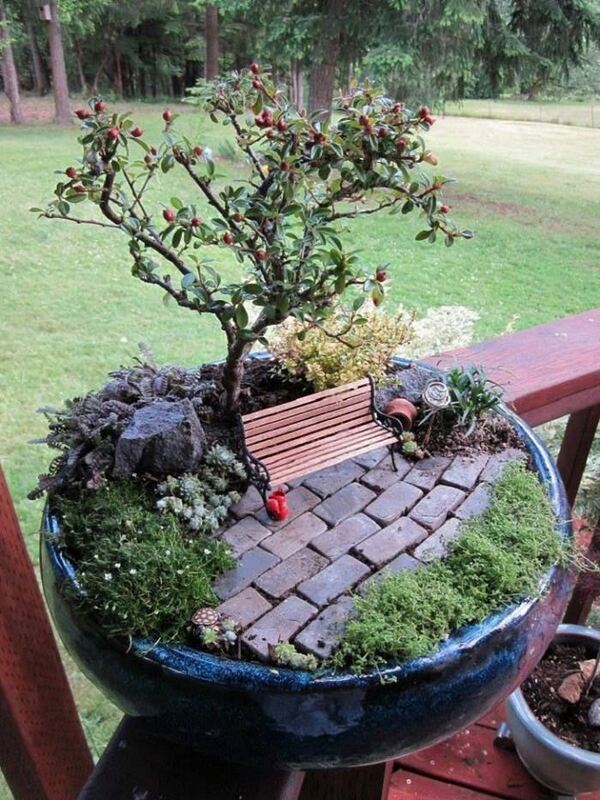 You can use a tree stump to create this miniature garden. 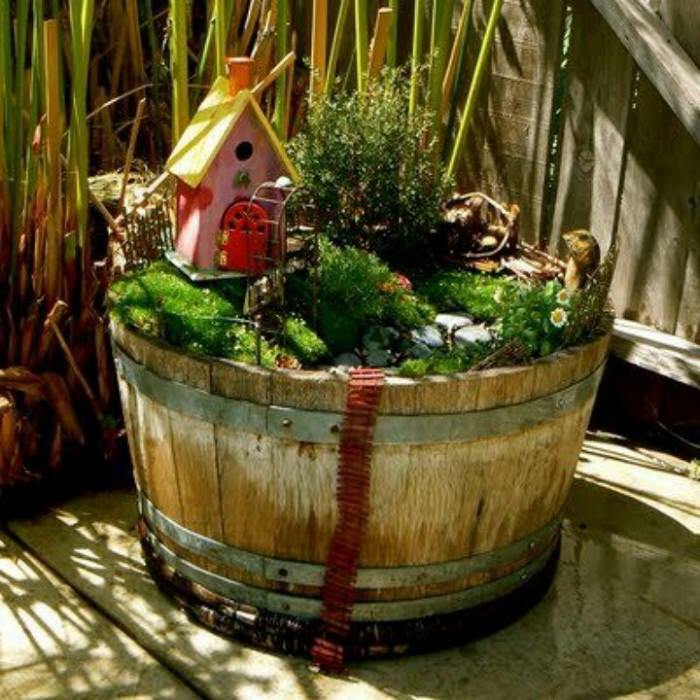 Make a container fairy garden like this. See the tutorial. If you’re good at growing bonsai trees, make a miniature garden around one of your bonsais. See more ideas like this at Bonsai Empire. Have broken pots make a beautiful fairy garden out of them. Visit the link. 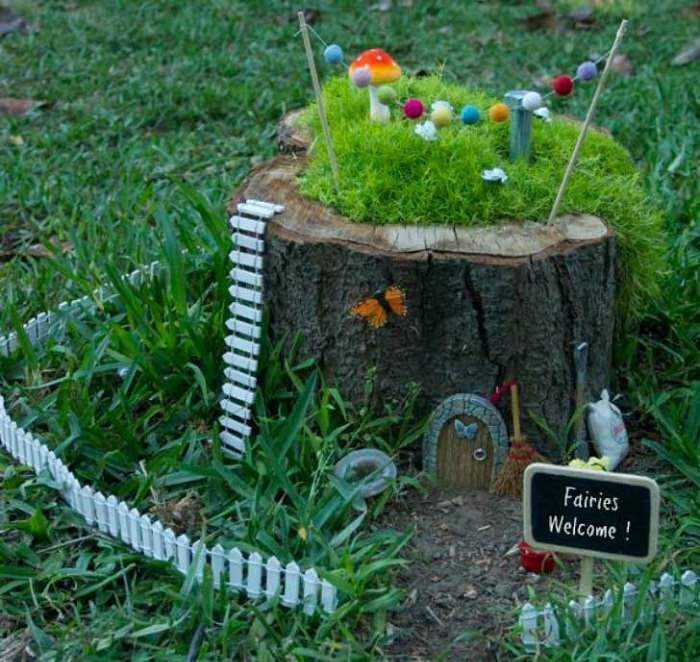 This well-planned fairy garden that resembles a gnome village is looking amazing with colorful mushrooms, walkway, tiny houses, and banners. 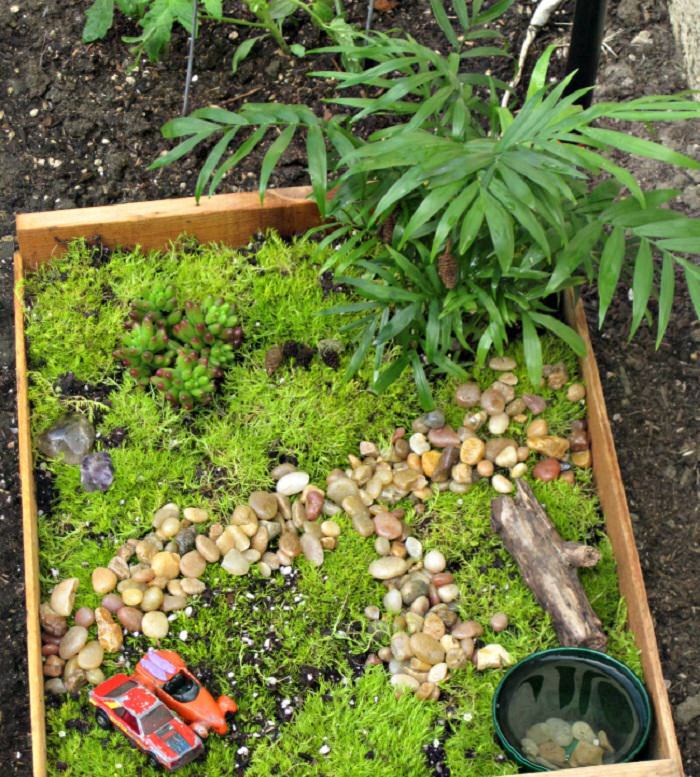 If you have a tray like this or a basket, you can easily make a fairy garden out of that. Check the simple tutorial here. One more broken pot fairy garden idea to follow. If you have clay pots, use them to make one for yourself. Also, check out more broken pot ideas in this post. The focal point of this little fairy garden are the birdhouses. 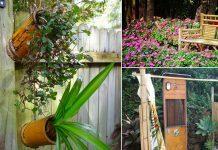 Place one or two birdhouses in a small pot and after that lay out the fence, a walkway of gravels, and adorn it with moss and other plants. More on it is here. 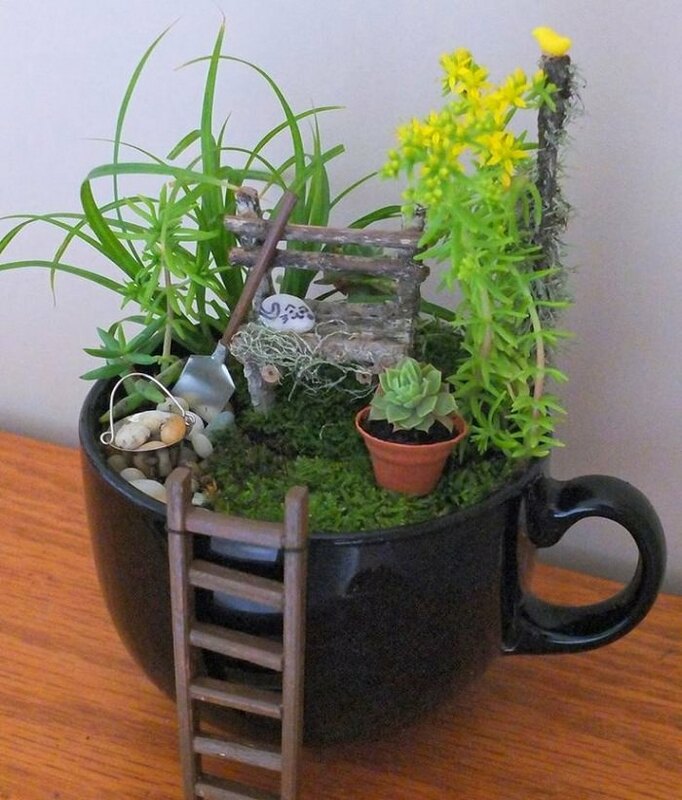 Use a large tea cup or coffee mug to make a cute looking fairy garden like this one. 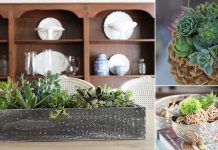 Fill it with soil, moss, a few succulents and other plants and make it more intriguing. 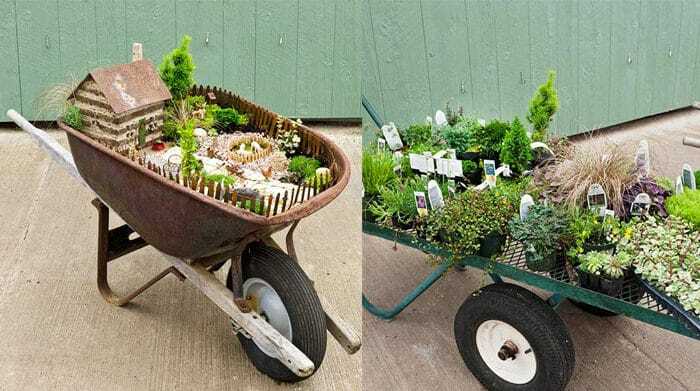 If you have got a wheelbarrow you can easily create a charming little landscape in it that you can move about to suit your mood or lifestyle. Make sure to drill several holes in the bottom of your wheelbarrow to provide drainage for the plants. 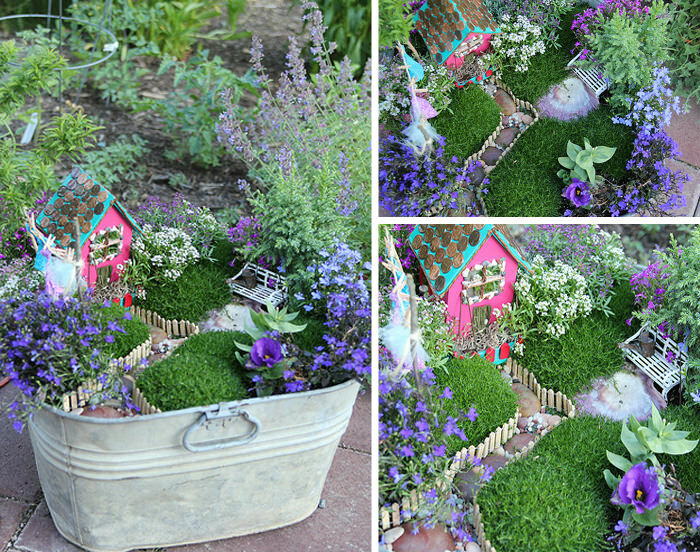 Visit BHG to learn how to make this fairy garden. 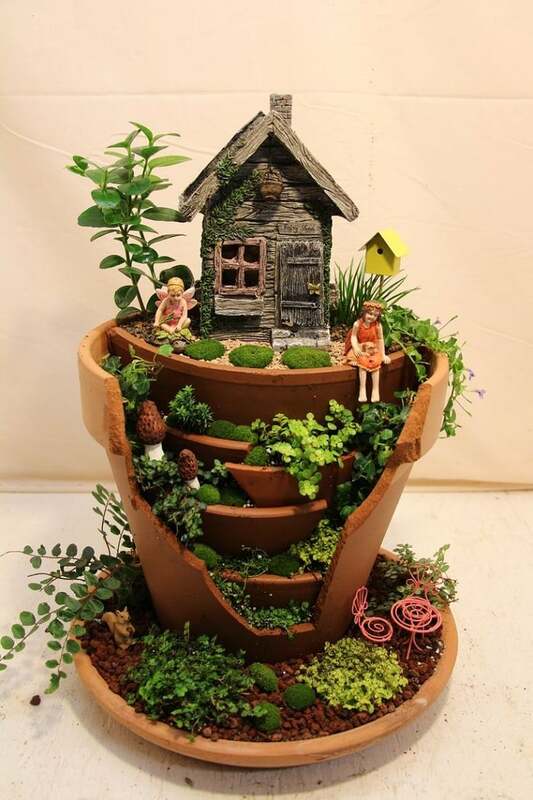 This is one of the best upcycled fairy gardens which is made up of hollowed tree stump. There is a little white ladder that leads up to the mossy roof. The gnomes have a broom for sweeping, a shovel for digging and even a sack of flour for baking bread. Check out more on it. 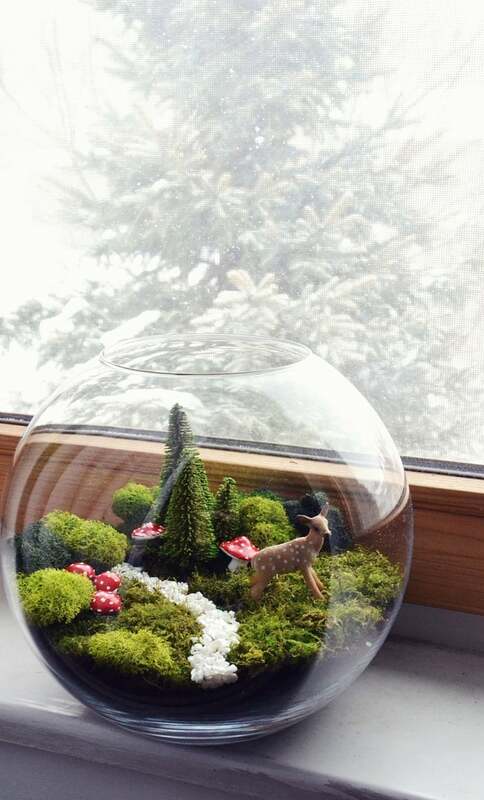 This amazing terrarium fairy garden is however not very easy to make but steps are simple and it only requires a few things like a glass bowl, potting soil, some pebbles, moss and a few pieces of fairy décor. Check out the complete tutorial here. 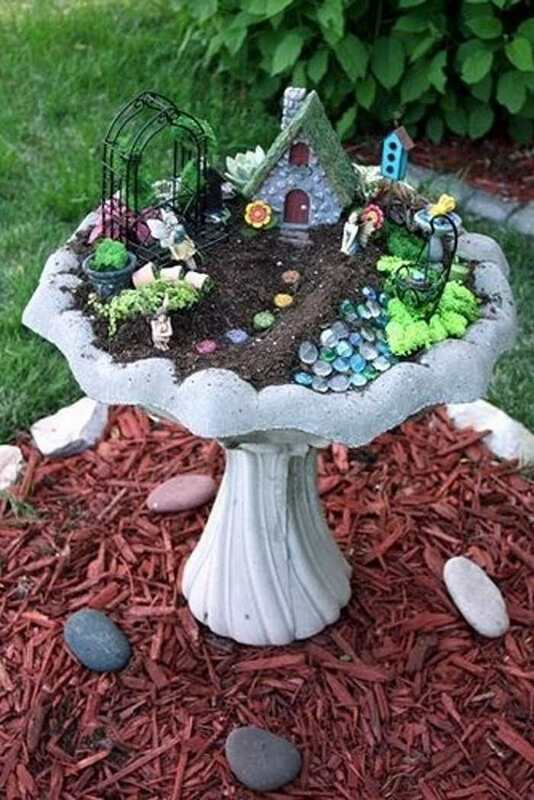 Fairy garden on a bird bath. Maybe this is what you can do with that old forgotten bird bath. Make sure to drill some holes in the bottom. Here is the step by step lovely tutorial for it. 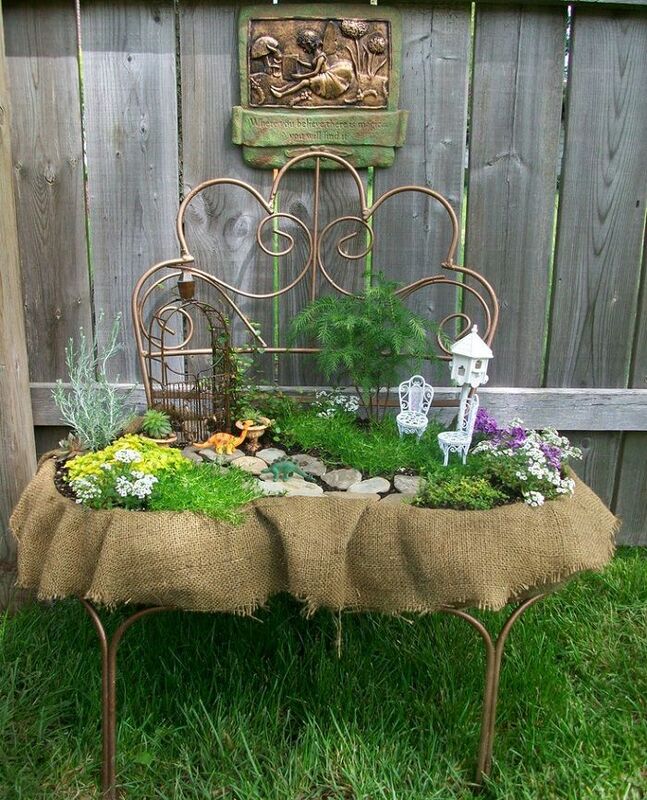 This fairy garden on a bench planter is so awesome. It can be a great summer project for kids. Here is the tutorial. 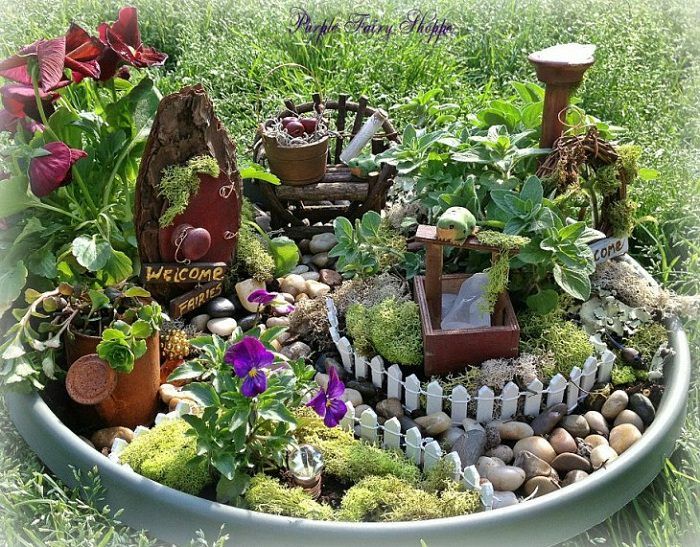 One thing is sure that you can create a fairy garden from almost anything. 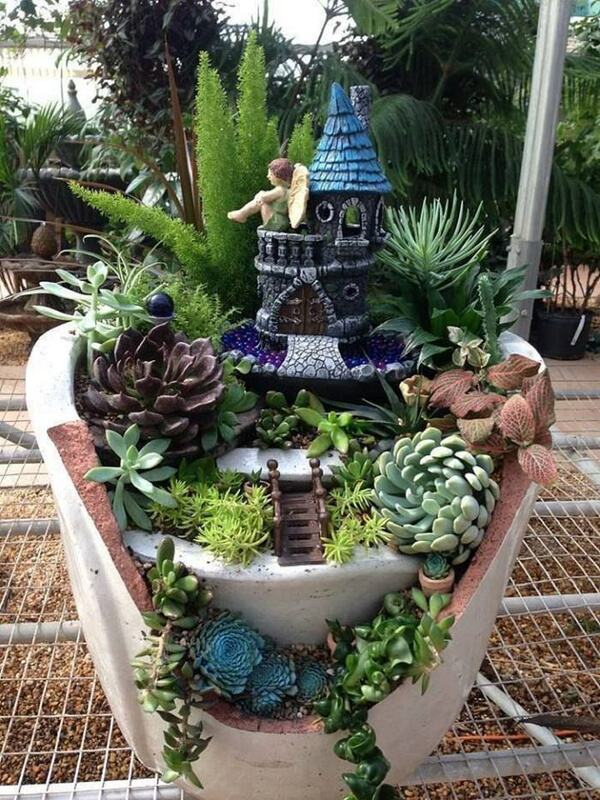 If you don’t believe, see this “Fairy city fairy garden” made from a crate. Read the post in detail here. This a great way to use an old barrel. To make it, wash your barrel and fill it up with potting soil, leaving it about 6 inches from the top. 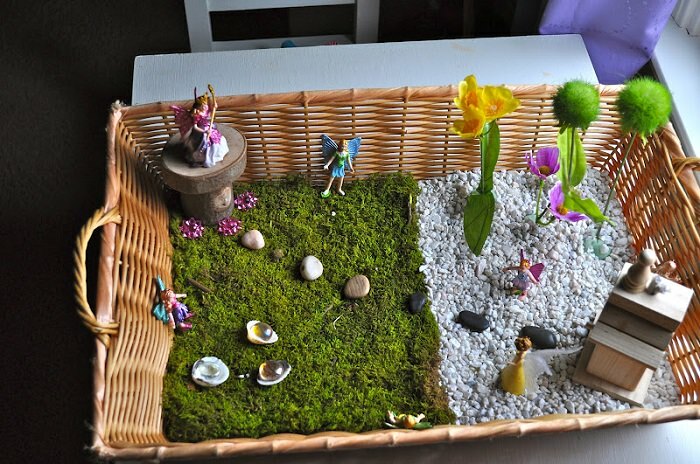 Next, plan how you want to make your fairy garden. Take help of your kids, too. Here is the complete tutorial for this. 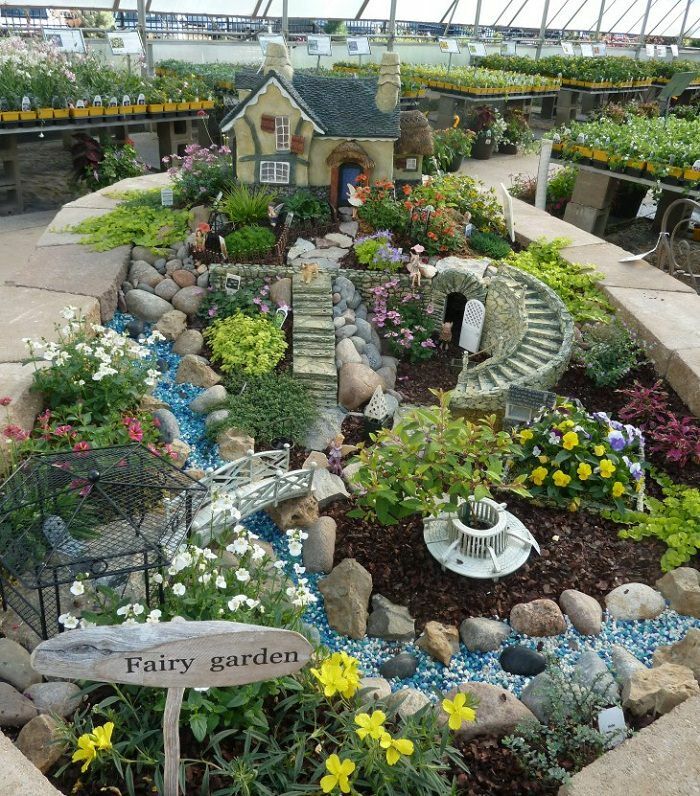 Check out this wonderful fairy garden, there’s a path made out of rocks it in, tiny little picket fencing, a house, a seashell pond, and a tiny bench holding even a tinier watering can.